Planning a wedding can be a huge collaborative effort. All the details, from centerpieces and flowers to the dance floor and table settings, can add up to a lot of time and a larger than anticipated wedding budget. One detail that is imperative, yet often overlooked, is lighting. 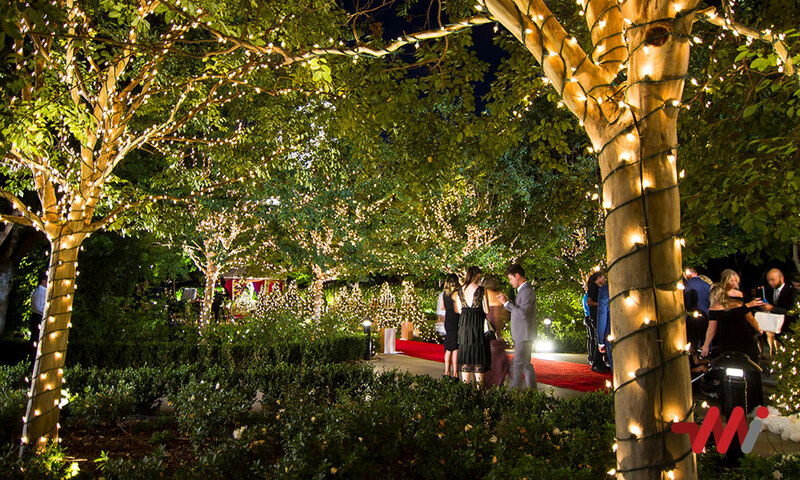 The right lighting design can completely transform your venue from average to romantically charming. In fact, here at Mobile Illumination we would even argue that lighting could be the most essential decoration in making your special day unforgettable. Whether your wedding venue is indoors, outdoors, simple, or ornate, well thought out lighting design will set the mood for both you and your guests. 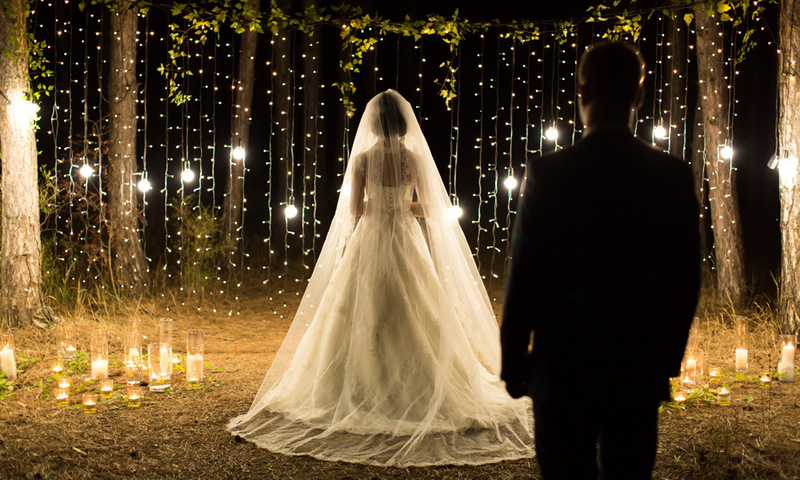 So how exactly should you illuminate your wedding ceremony and reception? Regardless of your venue, a couple key lighting design techniques go a long way. Consider varying your illumination throughout your special day and night. For instance, softer lights for the ceremony and meal will set the mood for romance and charm, while more vibrant lights later on will get the party started. In addition to varying your lighting, always be mindful of the décor, architectural features, and landscape traits you’d like to emphasize. If your space contains elegant columns, for example, you could emphasize the architectural details with uplighting. Or, say the wall behind the bride and groom’s table is a bit bare and uninteresting. Why not string globe lights or lanterns along the wall to add allure and highlight you and your love. When you use lighting to accentuate existing décor elements, while adding interest to simpler areas, the result is the weddingscape of your dreams. Another huge component of your wedding is capturing all the memories in dreamy photography. In order to properly capture all the little moments of your wedding, well-planned out lighting and décor is key. Imagine a photo of you and your partner in front of huge, illuminated initials, twinkling fairy lights, or candles lining the aisle. With the right lighting design, each moment of your wedding can be customized, magical, and eternalized in a gorgeous photo. Depending on your venue setting, there are lighting design practices and tips that can transform your venue and experience. We’ll go over some of our favorite illumination methods in our next blog, with a particular venue and ambience in mind. And who knows, maybe our inspirations and ideas will resonate with your ideal wedding experience, so check it out!